BANGLADESH. Kurigram District. 2010. 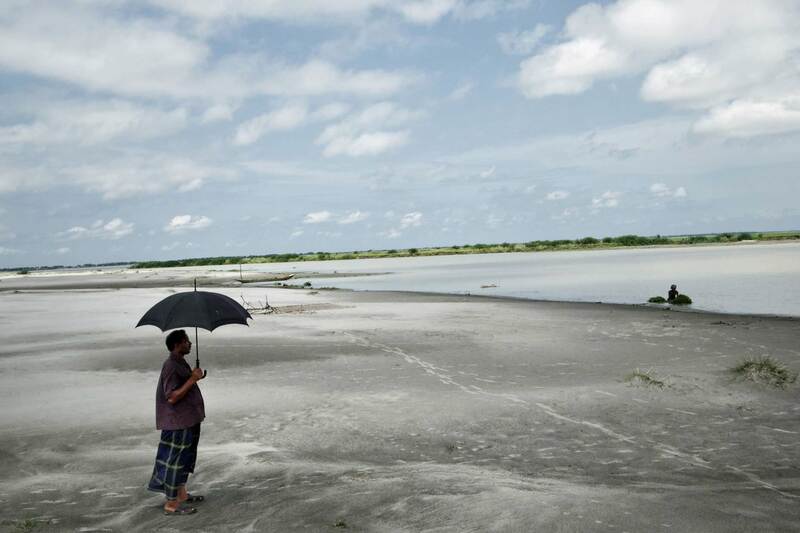 A man uses an umbrella against the harsh midday sun, on a typical lowlying ‘char’, or silt island in the middle of the Brahmaputra river.